22 March, an International World Water Day in Adigeni Municipality was marked by carrying out of clean up actions, conducted within the framework of the campaigns “Clean up Georgia” and “Blue Stream ”. The event has been organized by the Greens Movement of Georgia / Friends of the Earth Georgia. During the action the central streets and neighbourhoods of 3 public schools of the municipality were cleaned up. Nearly 50 people took part in this event, approximately 1,5 m3 of wastes were collected and around 4 ha area has been cleaned up. 22 March, an International World Water Day in Aspindza Municipality was marked by carrying out of clean up actions, conducted within the framework of the campaigns “Clean up Georgia” and “Blue Stream ”. The event has been organized by the local coordinator of Greens Movement of Georgia / Friends of the Earth Georgia. During the action the river Ota shoreline has been cleaned up. Around 50 people took part in this event, approximately 15m3 of wastes were collected and about 20 ha area has been cleaned up. 22 March, an International World Water Day in Senaki Municipality was marked by carrying out of clean up action, conducted within the framework of the campaigns “Clean up Georgia” and “Blue Stream ”. The event has been organized by the local coordinator of the Greens Movement of Georgia / Friends of the Earth Georgia, with support of local authorities. During the action was cleaned up the shoreline of Tekhura river. The event was attended by representatives of local government and local residents, around 50 people. Approximately 5m3 of wastes were collected and about 1 ha area has been cleaned up. On the occasion of World Water Day the clean up action was held in Keda Municipality. 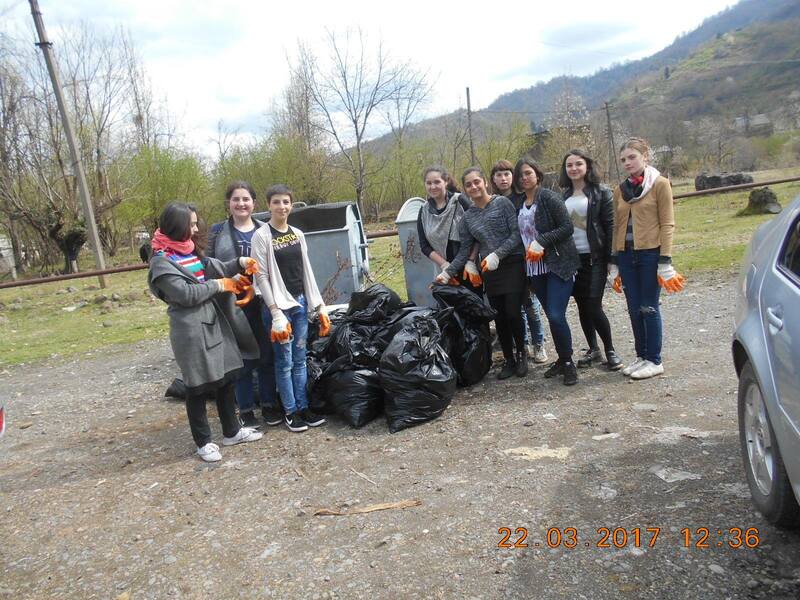 On 22 March the event was organized by the regional coordinator of the Greens Movement of Georgia/ Friends of the Earth Georgia in Adjara, during which the shoreline stripes of river Chanchkhalo gorge and Merisi river valley were cleaned up.The event was attended by 80 people, about 7m3 of waste was collected and around 3 ha area has been cleaned up. On the occasion of World Water Day the clean up action was held in Shuakhevi Municipality. On 22 March the event was organized by the regional coordinator of the Greens Movement of Georgia/ Friends of the Earth Georgia in Adjara, with support of local authorities. 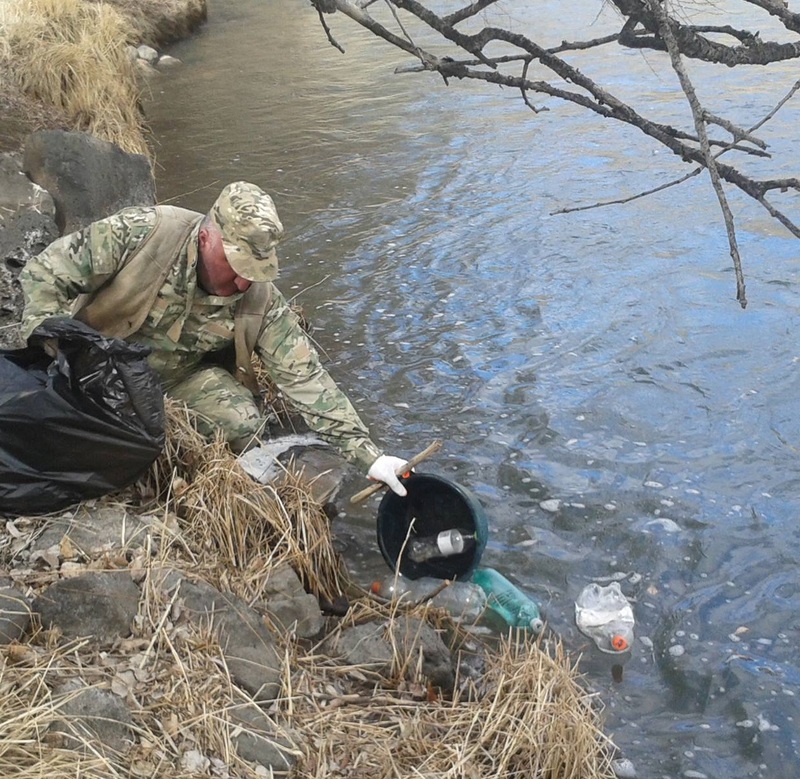 During the action the shorelines of rivers Chanchkhalo, Chvanistskali and Shubnitskali were cleaned up. In the event along with organizers actively participated local residents. Around 70 people took part in the action, approximately 2 hectares of land were cleaned up, about 10 m3 of waste was collected and taken to the landfill by the Cleaning Service. 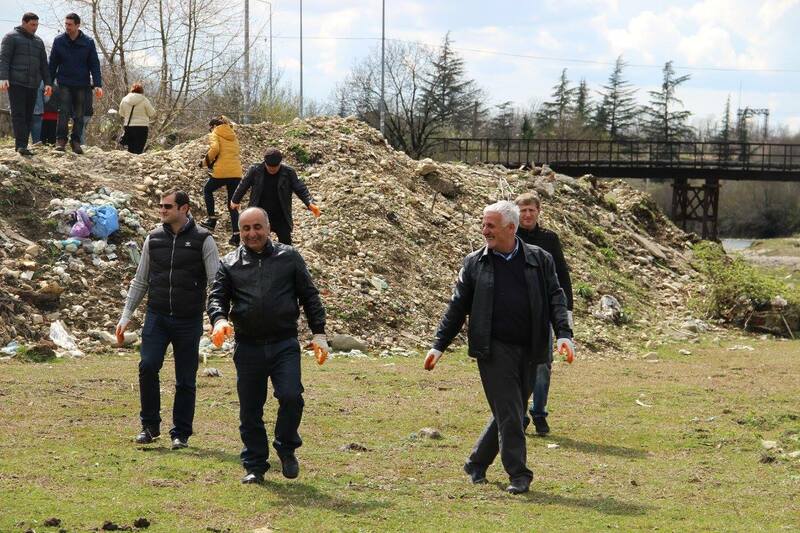 22 March, an International World Water Day in Akhaltsikhe Municipality was marked by carrying out of clean up actions, conducted within the framework of the campaigns “Clean up Georgia” and “Blue Stream ”. The event has been organized by the local coordinator of Greens Movement of Georgia / Friends of the Earth Georgia with support of local authorities. Representatives of the Municipal Improvement Service took part in the event together with the organizers. 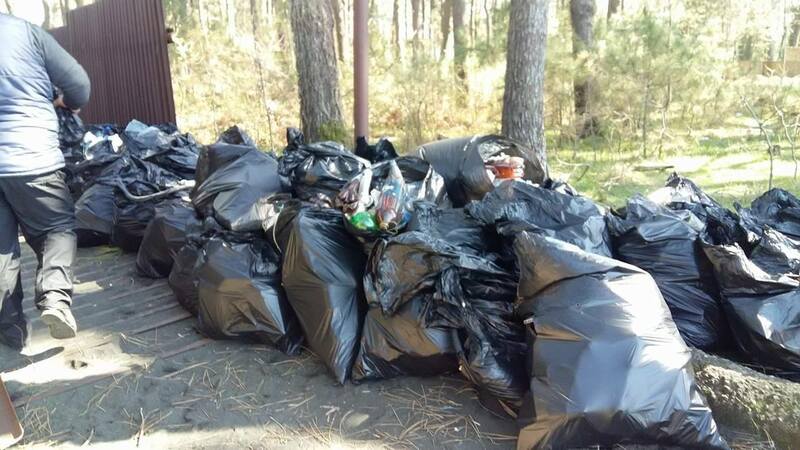 During the action about 1.5 hectares of the area were cleaned up, approximately 14 m3 of waste was collected. Around 100 volunteers took part in the action. 22 March, an International World Water Day in Abasha Municipality was marked by carrying out of clean up actions, conducted within the framework of the campaigns “Clean up Georgia” and “Blue Stream ”. The event has been organized by the Greens Movement of Georgia / Friends of the Earth Georgia. During the action, with support of local coordinator of the Greens Movement of Georgia in the municipality of Abasha, were cleaned up the banks of Zana and Noghela rivers. Nearly 50 people took part in this event, approximately 7m3 of wastes were collected and around 1 ha area has been cleaned up. On March 22, the World Water Day in Khobi municipality was marked with clean up actions within the framework of the campaigns “Clean up Georgia” and “Blue Stream. ” The event has been organized by the local coordinator of Greens Movement of Georgia/ Friends of the Earth Georgia in cooperation with local authorities. During the action the shoreline of the river Khobistskali and the central districts of the municipality were cleaned up. About 1 hectare of land was cleaned up and around 10 m3 of waste was collected. Nearly 100 volunteers took part in this event, along with organizers the representatives of local residents as well as local authorities. 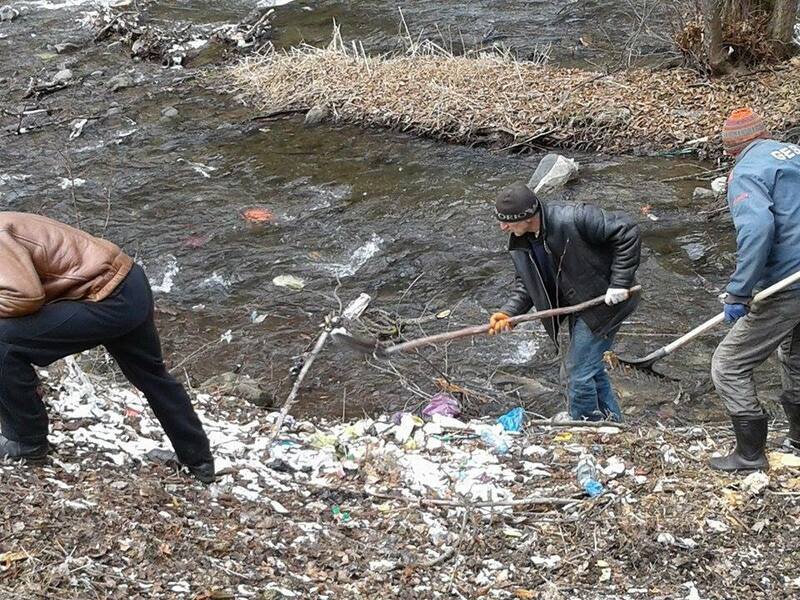 On March 22, the World Water Day in Martvili municipality was marked with clean up action within the framework of the campaigns “Clean up Georgia” and “Blue Stream. ” The event has been organized by the local coordinator of the Greens Movement of Georgia in cooperation with local authorities. 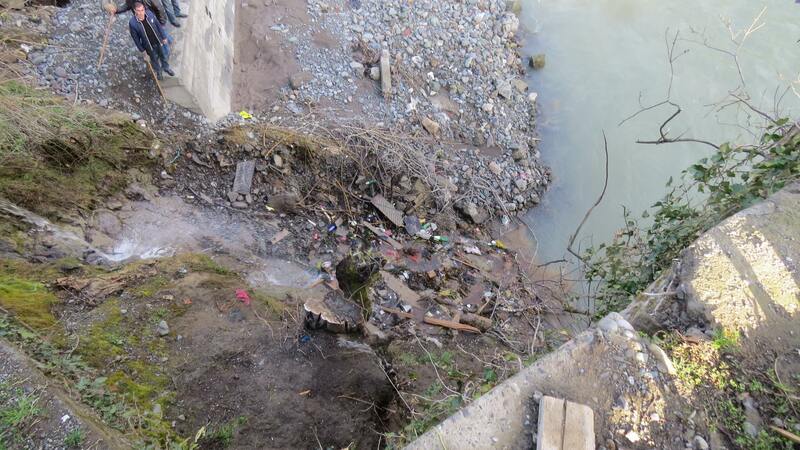 During the action a 2-km section of the river Inchkhia shoreline, about 2 hectares of land was cleaned up and about 7 m3 of waste was collected. About 70 people took part in the event, representatives of local residents, as well as local authorities. On March 31, 2017 NGO Ecological Awareness and Waste Management (EAWM) held a meeting in the United Water Supply Company of Georgia, in the framework of the ‘Clean Up Georgia – Phase III” Project. The purpose of the meeting was to inform the Company about the ongoing project activities and schedule cooperation in the area of hazardous waste management, in particular, chlorine/chemicals, on the territory of Georgia. 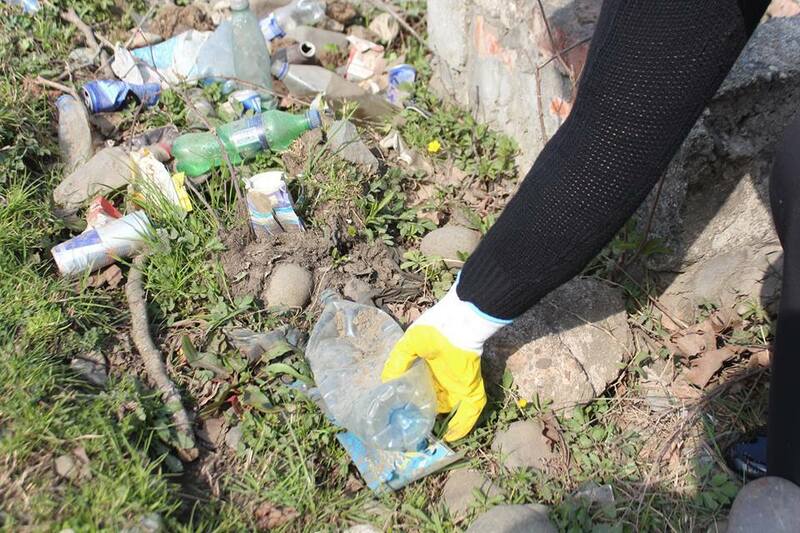 On the occasion of World Water Day the clean up action was held in Kutaisi Automobile Plant settlement on March 22. The event was organized by the regional coordinator of the Greens Movement of Georgia/ Friends of the Earth Georgia in Kutaisi and with support of local government. During the action was cleaned up the shoreline section of Olaskura river with an area of 0.5 hectares. The action was attended by 40 people, and about 2m3 of waste was collected. On March 22, as part of the World Water Day a cleanup action was carried out in Samtredia. The event was organized by the Greens Movement of Georgia/ friends of the Earth Georgia. During the action the shoreline of the Churipala River and the central districts of the city were cleaned up. About 30 people took part in this event, about 2 m3 of waste was collected and about 0.5 hectares of land was cleared. World Water Day in town Ureki was marked by carrying out clean up actions in the framework of the campaigns “Clean up Georgia” and “Blue Stream.” The event was organized by the local coordinator of the Greens Movement of Georgia/Friends of the Earth Georgia in Guria region with support of local authorities. The event was held on March 23, during which the Black Sea shoreline has been cleaned up. Representatives of local authorities, residents of Magnetiti, pupils of Ureki public school actively participated in the action. About 55 local residents took part in this event, approximately 25 m3 of waste was collected and about 1 hectare area was cleaned up. 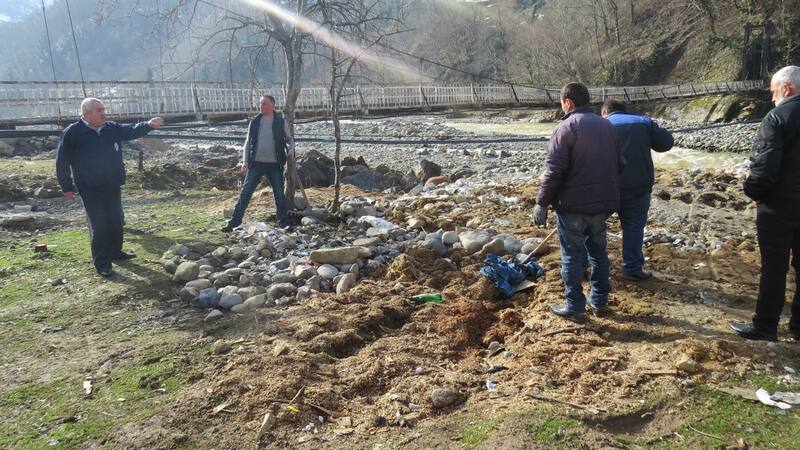 On March 22, on the occasion of World Water Day in the framework of the campaigns “Clean up Georgia” and “Blue Stream” a clean up action was carried out in village Likhauri, Lanchkhuti municipality, organized by the local coordinator of the Greens Movement of Georgia/Friends of the Earth Georgia with support of local authorities. During the event was cleaned up the neighborhoods of Acharistskali riverside area and representatives of Governor’s office, village Likhauri residents and pupils of Likhauri public school actively participated in the action together with the organizers. About 80 people took part in the action, approximately 1,5 hectare area was cleaned up, around 15 m3 of waste was collected and taken to the landfill by the representatives of Cleaning Service. Greens Movement of Georgia/Friends of the Earth Georgia with support of local coordinators of the organization and in cooperation with local authorities has celebrated World Water Day in the framework of the campaigns “Clean up Georgia” and “Blue Stream” in different municipalities of Georgia. 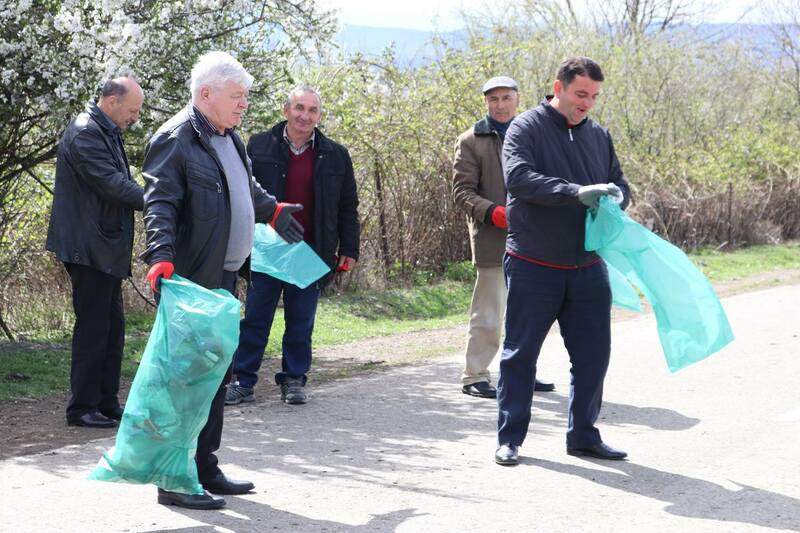 On March 28 on the occasion of this day a clean up action was carried out in Kvareli municipality, during which the lake Ilia and its environs as well as sections of Duruji riverside area were cleaned up.